Over the past few weeks I have seen more on social media than I did most of the last 6 months. I seem to be susceptible to the “rabbit hole” concept of scrolling further down the updates than usual. Today I came across a post from a pastor sharing his new favorite worship song. I’m familiar with the song and had a feeling it wasn’t quite as new as the post advertised. So I went back to check it’s release date. Turns out, I wasn’t wrong. The song was originally released in January 2014. That’s five years ago. 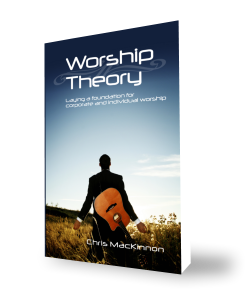 I will concede that five years is not a long time in the worship music industry. It seems too many songs come from so many corners of the spectrum from well-known to new on the block to one-hit wonders. It did make me wonder, though. When we find something new, how fresh is it? And if it isn’t that fresh, though it is new to us, what do we miss when we latch onto it? As an American, freedom is a term that is both familiar and foundational. There are battles over various freedoms in our Western nations, and we wonder at the lack of basic freedoms around the world. Freedom is an essential building block of Christianity. Though it neither demands nor forces the freedoms many fight for today, it offers a deeper freedom that cannot be bound by any earthly shackles of inequality or oppression. Proclaiming freedom for captives and the truth that sets us free, the church invites the hopeless to a life of freedom in Christ. At the Oxymoron Church, while shaking the keys of freedom before the chains of sin and death, they hold open the door a new life where hope slowly dies in a different kind of prison. According to Paul, the three greatest elements of life are faith, hope, and love. The first post in our series mentioned how the local church should be the hope of the world, but few see hope in it. We already talked bout the Oxymoron Church’s flawd ideas about love. Faith is a concept most people are familiar with. We define our religious views as our “faith”, but our faith in God, and have faith when times are difficult. It is the foundation of our salvation, for we are saved through faith in Jesus Christ (Ephesians 2:8). How is it possible for a church to fail in regards to faith? What fate is that church left to, if faith is not alive within its walls? Too many of our churches fall into this category of the Oxymoron Church, and their futures are bleak. So maybe this Oxymoron Church thing is going to hit harder than I thought. Talking about community wasn’t too bad, but love was a rough one. Let’s try to ease up with a look at servanthood. To be a servant implies we have to answer to someone else. It means there is one who has a higher rank or privilege than we do, and our mission is to fulfill the needs of those above us. There are a couple of angles we could take here, but we will save at least one for another post. For today the focus is on how servant applies in the context of believer to believer. You would think a Body of people who believe in community and are motivated by love should be a prime example of servanthood. Already known for its failures in the areas of community and love, the Oxymoron Church has forsaken the life of the servant. Love. It could be the most powerful verb in any language. When we love and then act out of love, the possibilities are endless. God’s desire to love and be loved motivated Him to create the human race. Scripture proclaims: God is love. It also tells us how we are ambassadors of Christ. If Jesus is fully God and fully man, and we are His representatives on Earth, we are supposed to be representatives of love. The love of God, which motivated Him to create the universe and to later send His only begotten Son for our salvation, sets a high bar. Souls are searching for this love when they come to church. If only the Oxymoron Church knew how to love.